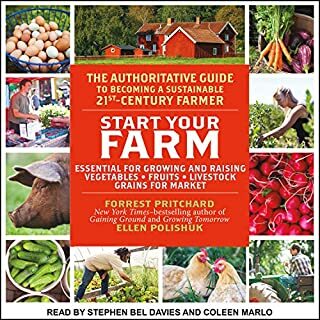 Featuring profiles of 18 homesteaders and farmers who share stories of their own journeys toward a healthier, freer, more fulfilling lifestyle, this audiobook provides actionable ideas that you can use to achieve your dream of self-sufficiency. 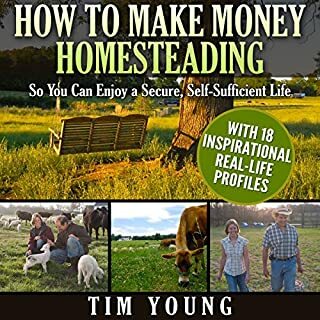 From how others got out of debt, to what to consider before buying land, to the steps to take when setting up a sustainable homestead or farmstead business, this book details the strategies that will save money, generate income, and put you on the path to self-sufficiency. When he purchased four acres of land on Vashon Island, Kurt Timmermeister was only looking for an affordable home near the restaurants he ran in Seattle. But as he slowly settled into his new property, he became awakened to the connection between what he ate and where it came from: a hive of bees provided honey, a young cow could give fresh milk, an apple orchard allowed him to make vinegar. I am NOT a Christian and yet I encourage everyone to read this book. A work of immersive journalism steeped in a distinctively American social history and sparked by a personal quest, The Unsettlers traces the search for the simple life through the stories of new pioneers and what inspired each of them to look for - or create - a better existence. Captivating and clear-eyed, it dares us to imagine what a sustainable, ethical, authentic future might actually look like. When Lucie Amundsen had a rare night out with her husband, she never imagined what he'd tell her over dinner - that his dream was to quit his office job (with benefits!) and start a commercial-scale pasture-raised egg farm. His entire agricultural experience consisted of raising five backyard hens, none of whom had yet laid a single egg. To create this pastured poultry ranch, the couple scrambles to acquire nearly 2,000 chickens - all named Lola. I want to share my life story with you as a way to help others going through a difficult situation. I realize that today many are facing financial and other major life issues. At first I went about my life, enjoying everything I had and none the wiser about how difficult things could become. However, that's when my life changed. It wasn't long after I lost my job that I found myself struggling to support my wife and our six-year-old son. I began to worry about what I was going to do and how I could possibly turn the situation around. Call it "Zen and the Art of Farming" or a "Little Green Book", Masanobu Fukuoka's manifesto about farming, eating, and the limits of human knowledge presents a radical challenge to the global systems we rely on for our food. At the same time, it is a spiritual memoir of a man whose innovative system of cultivating the earth reflects a deep faith in the wholeness and balance of the natural world. As Wendell Berry writes in his preface, the book "is valuable to us because it is at once practical and philosophical." 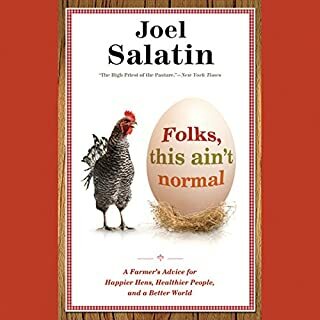 This audiobook is the personal memoir of an urban couple's journey to farming rather than a how-to guide and is sure to delight those interested in moving to the country or simply learning more about the struggles of sustainable farming. When Tim and Liz Young decided to leave their comfortable suburban life and become first-time farmers in rural Georgia, they embarked on a journey that would change their lives. The Accidental Farmers reveals how the couple learned that hamburgers, bacon, and eggs don't come from the supermarket but from real animals that forge emotional bonds with their human caretakers. Seeking a middle path between a meatless lifestyle and the barbarism of factory food, Tim and Liz created Nature's Harmony Farm, a sustainable oasis where rare-breed animals and humans live together, searching for something nearly lost by both humans and the animals...how to live naturally off the land. It started out promising and exciting. It could have been half the length. A lot of the information was shared multiple times especially with the inclusion of blog post readings at the end of each chapter. There was a whole chapter done in the third person which was almost unbearable. Knowing that these two accidental farmers no longer farm makes it much less enchanting. I can see now why some people have criticized this guy. The book overall is entertaining enough but it's definitely on the bottom of the list for this genre. 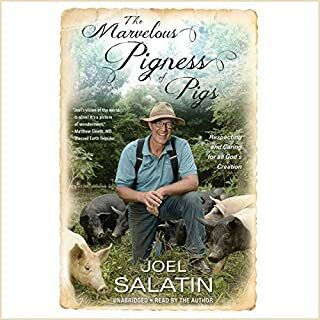 The author suffers from having had some success as a businessman in his prior life and subsequently brings a kind of smugness to his farming and writing. Starting with a substantial bank-roll, he fails to appreciate what it is really like to start a farm with an eye of actually needing to be a successful farmer in order to survive - as a farmer. I've read plenty of testimonies from true, bootstrapping homesteaders who shared this zeal for natural food, etc and there is always a sincere humility in their learning process. All in all he doesn't seem to have set out to be a full time farmer inasmuch as someone who writes about farming and maybe builds a small brand of sorts so he can do seminars, etc. i.e. it was never about farming for farming's sake but rather to create a kind of farming brand for himself. 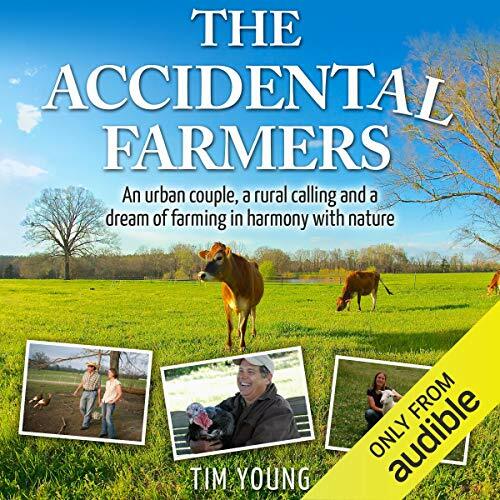 Would you consider the audio edition of The Accidental Farmers: An Urban Couple, a Rural Calling and a Dream of Farming in Harmony with Nature to be better than the print version? 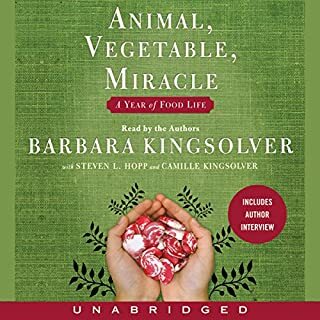 That's hard to know since I didn't read the print version, but for me, the story was told in the emotions of the reader, who transmitted the author's angst at the loss of animals in the early years of the farm. The good, the bad, and the ugly - the story moving to the country wasn't made to sound like a sweet or banal withdrawal from the rat race, but a challenging change of life style. What does Don Moffit bring to the story that you wouldn’t experience if you just read the book? The story was told in the emotions of the reader, who transmitted the author's angst at the loss of animals in the early years of the farm. I've been telling all my friends about this book -- it really made me think about where my food comes from. I couldn't push pause on this book. It put into words what we are trying to do here. What could Tim Young have done to make this a more enjoyable book for you? I'm very interested in sustainable farming as a lifestyle, and have read a number of books / memoirs on this topic. This book starts out ok, but turns into a smug diatribe of the authors mediocre accomplishments. I especially could not tolerate the portrayal of his wife as an emotional mess that needs constant support and guidance from him, especially with him being a novice himself. Inspiration for Farmers & Homesteaders alike! My husband and I have started a small homestead and aspire to live off the land. I love the way the author expresses exactly how the land and animals affects us. 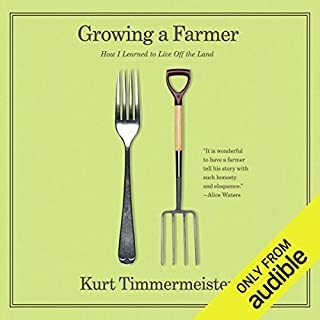 Even greater, though, is the way in which he discusses all aspects of their farming methods in ways that is applies to a human farming, not necessarily in the ways it affects the farm itself. I enjoyed this book very much and I learned a lot from it. Highly recommended. and when you find it, the surprise is yours. Those who know you best recognize the "fit" and are only surprised by your surprise. If farming is a dream of yours, here is a peek at the reality. BTW, ANF! Paints a picture so you can close your eyes and see the visual being conveyed. Very descriptive narrative. Inflection would go a long way in making it a story vs narrative. Great story and a great read. Thank you for the insights and sharing your beliefs. I still want to raise hogs!